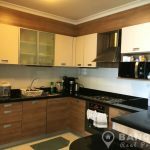 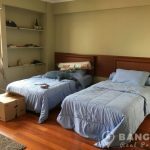 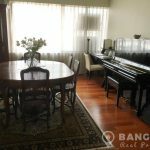 A spacious, newly renovated condo is now available to rent at the Baan Prida, superbly located in the heart of Sukhumvit just 3 minutes walk from the Nana BTS. 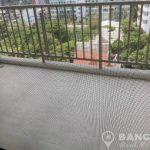 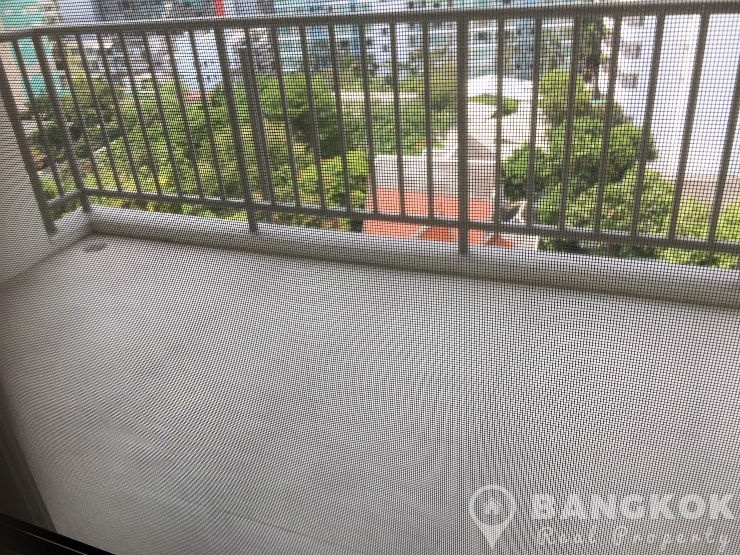 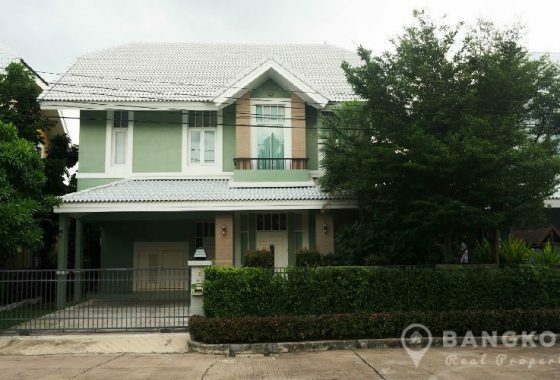 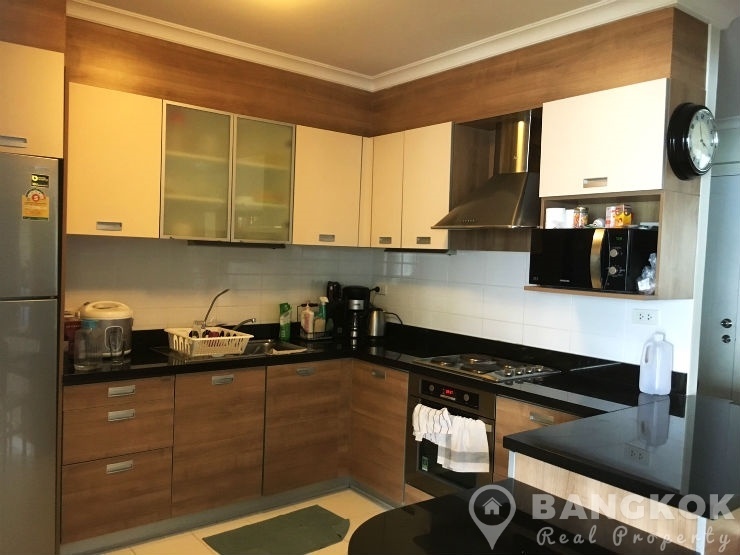 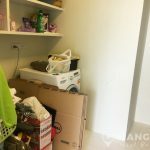 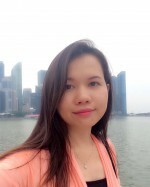 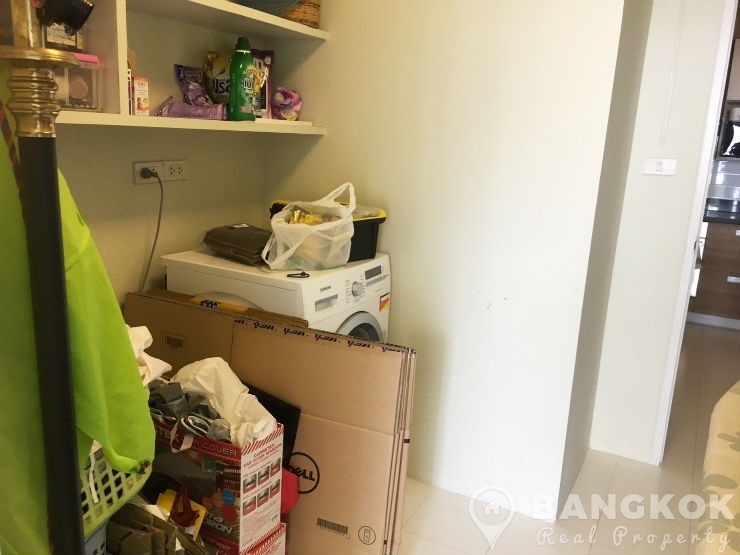 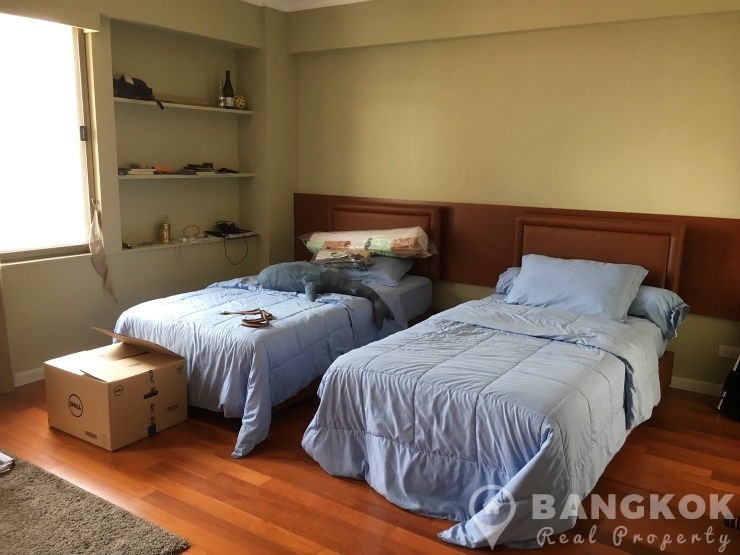 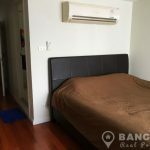 Centrally located on Sukhumvit Soi 8, this mid rise condo, just 3 minutes walk from Nana BTS and 9 minutes walk to Asok BTS/ MRT, residents also have access to Terminal 21, EmQuartier, Villa Market, NIST, Bungrumgrad International Hospital and Chuwit Park. 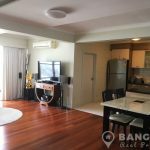 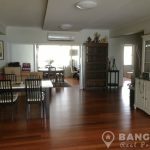 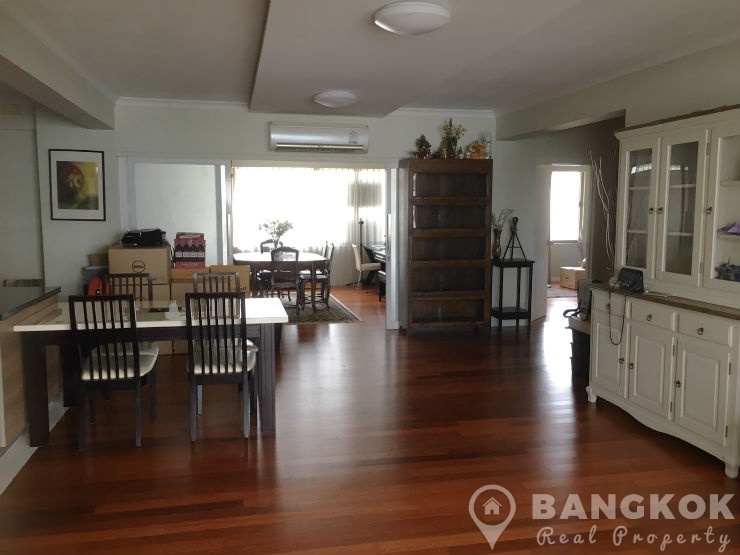 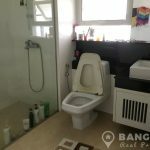 On a mid floor of Baan Prida, this recently renovated condo has 3 double bedrooms, 2 bathrooms (Master ensuite) and 215 sq.m of living space. 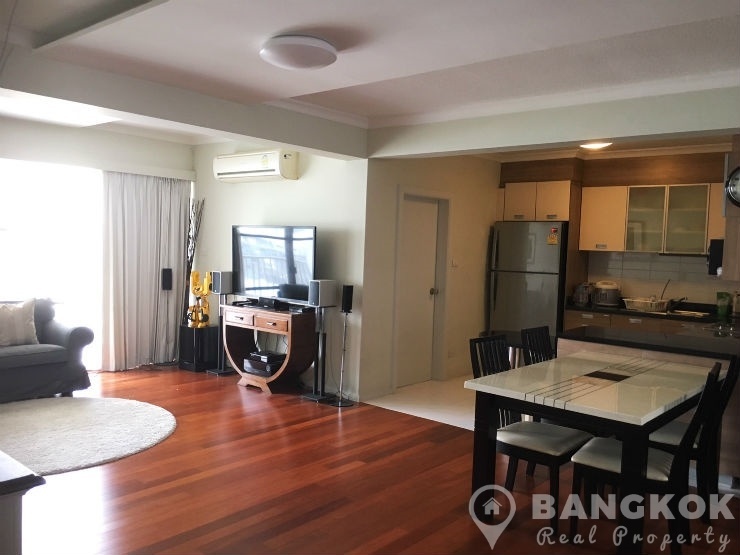 The open plan livingroom – kitchen with main balcony access has hardwood floors, European style kitchen with extensive fitted units, built in electric hob, oven, microwave and fridge-freezer. 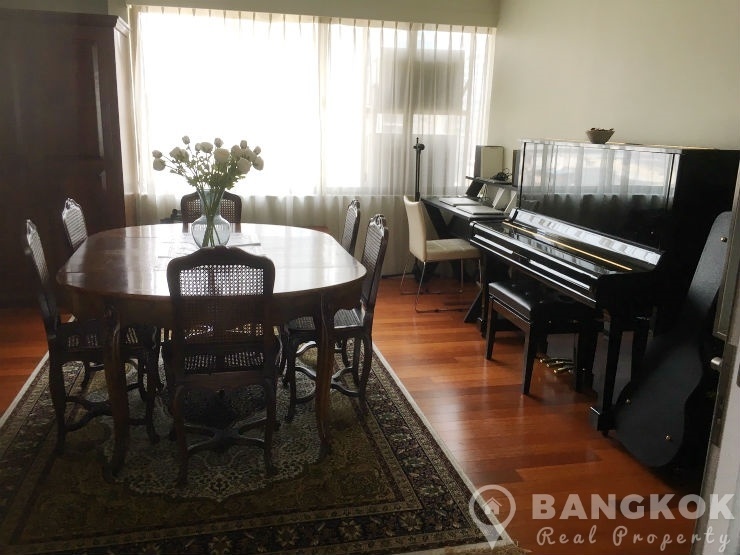 There are sliding glass doors to a separate dining room / study. 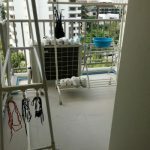 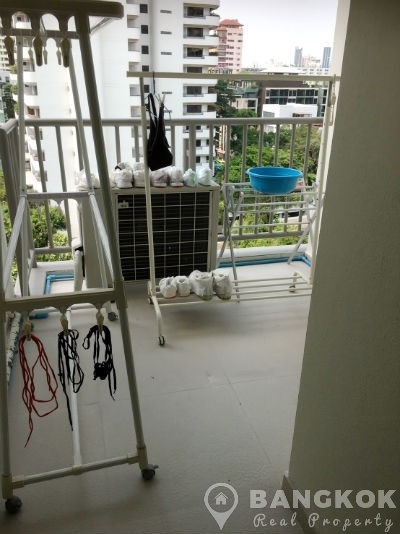 The unit has a utility area with washing machine and large utility 2nd balcony and there is 1 maids room with bathroom. 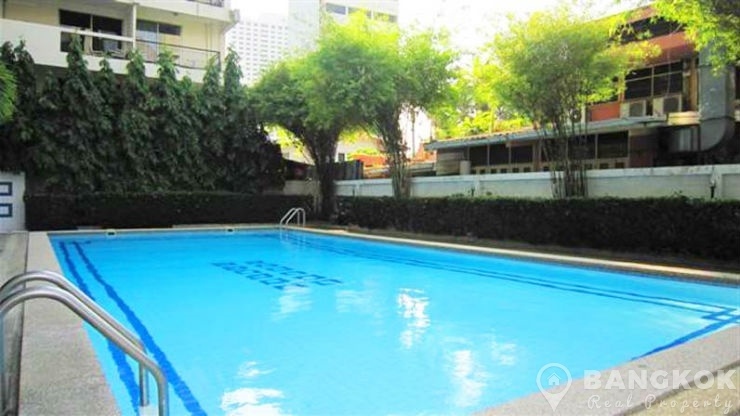 Baan Prida is a condominium project located in the heart of Nana on Sukhumvit 8 and just 3 minutes walk to Nana BTS. 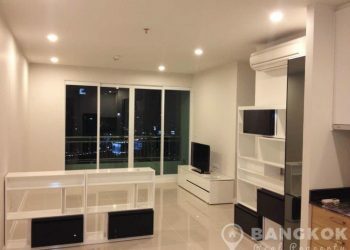 Construction of Baan Prida was completed in 1986 and comprises of a single building, with 14 floors with a total of 19 units only.